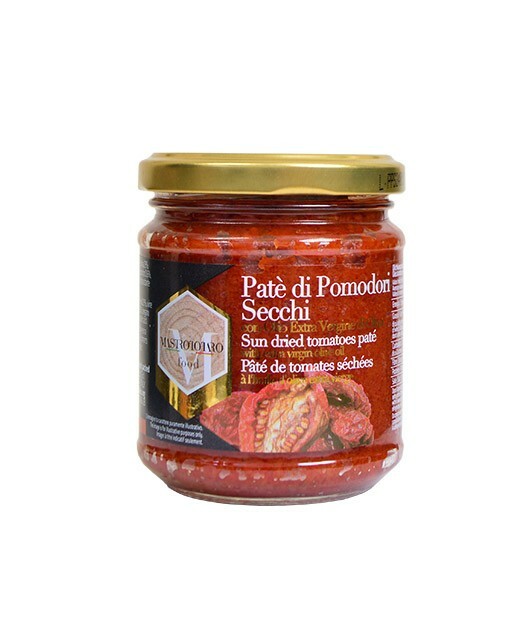 dried tomato reveal all its flavours in this delicious cream. 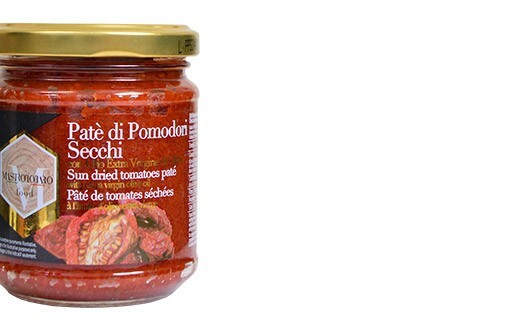 To take advantage of its good taste, we advise you to taste it alone on a grilled toast or a piece of fresh baguette. You can also use it to cook a chicken cream and dried tomato, focaccia or a savory cake. Sun-dried tomatoes 59%, extra virgin olive oil, wine vinegar, sugar, basil, garlic, pepper, oregano, salt. acidity regulator: citric acid, antioxidant: ascorbic acid. 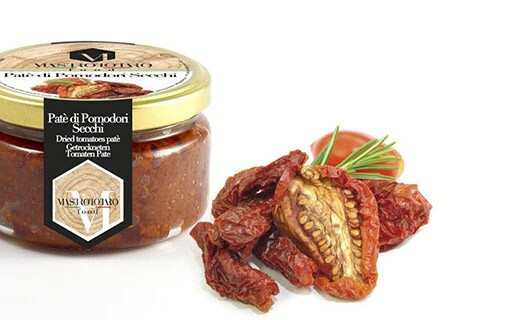 creams, sun dried tomatoes appetizer Mastrototaro. crèmes, tomates séchées, apéritif, mastrototaro.